For over 60 years, Varbros, LLC has been a leading manufacturer of high-production parts for mass-production industries. Specializing in supplying the industry with world-class quality and cost-effective metal stamping parts, Varbros prides itself in always delivering on time. Proof of our dependability and reliability is the fact the company is recognized repeatedly by its customers for outstanding performance and preferred supplier awards. Our secondary operations include welded assemblies, tapping, and CNC machining. At TrimLine, we have specialized in the design and fabrication of high precision tooling for the metal stamping industry since 1997. 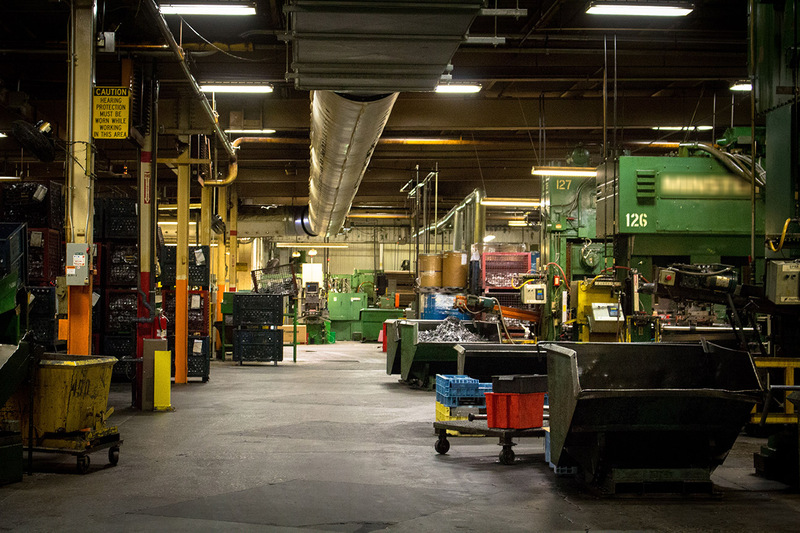 As an established high volume metal stamping company, we operate presses from 200 to 600 tons with servo transfer systems — as well as full tool/die design and build capabilities. In our 110,000 square foot, ISO 9001:2015 and IATF 16949:2016-certified facility we have the assets in place to provide single hit, progressive, and transfer tooling. With a world-class quality PPM rating, we are a single-source solution providing assistance from concept through to production. This includes design, engineering, testing, and tool builds for high volume metal stampings. These services are geared for the needs of customers in the automotive, appliances, home entertainment, medical, and electronic industries. Our plant is located on a 15-acre site in LaGrange, Ohio. We are only a half-hour drive from Cleveland and a short distance from major interstates and the Cleveland Hopkins International Airport. We are proud of our new facility and welcome your visit. Try us on your die or stamping order. We’ll convince you it pays to do business with TrimLine. The Varbros staff dedicates itself to serving customers whose support has made possible our record of growth and numerous expansions. Our goal is to provide defect free products at competitive prices – delivered on time – products which will meet or exceed customers expectations. 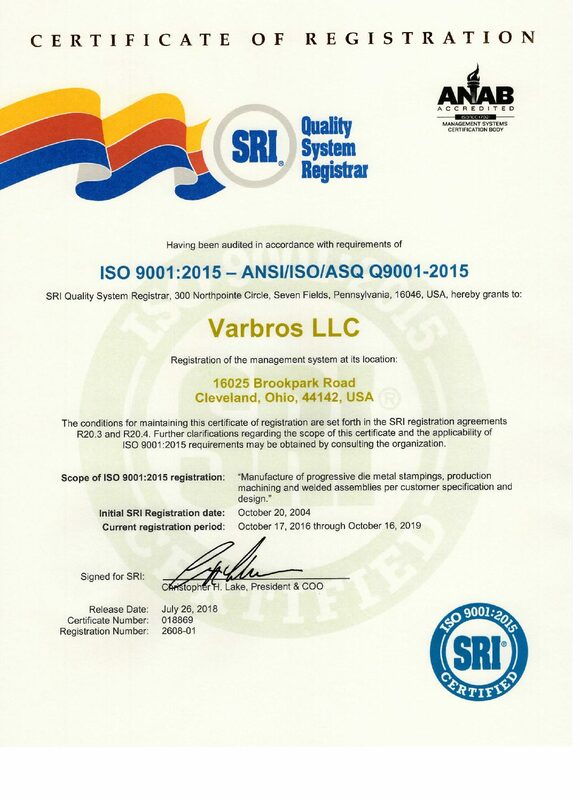 The Quality Management System is a vital part of the overall management approach at Varbros, LLC. This is emphasized through our commitment and certifications to ISO 9001:2015. We strive to ensure our processes and products meet and/or exceed our customers’ requirements while maintaining our competitive market position. Our facility features typical measurement techniques along with CMM capabilities to provide AIAG compatible programs for APQP, PPAP, GR&R and Process Controls. We train our associates in quality concepts to provide quality inspections and audits throughout the product realization cycle.